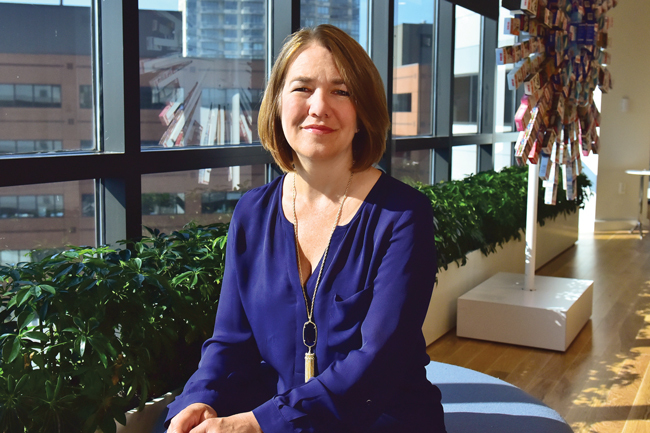 Alison Lewis, the global chief marketing officer of Johnson & Johnson consumer division, has little appetite for new flavours and variants but instead wants to rethink innovation as a means to solve consumer problems. "I believe in breakthrough innovation. We innovate to solve problems, which then allows us to push ourselves to not just launch the next fragrance of skin cream or body lotions or the next flavour of Listerine. Our products are getting outside of the bottle, the jar, the pill, to bring much more dynamic solutions to the marketplace, " Lewis said, speaking to Campaign at the Cannes Lions Festival, about her ambitions to disrupt the market beyond lotions in a jar. The former Coke veteran, appointed as the first global chief marketing officer at J&J just over three years ago, has been busy re-engineering brand building at the health and beauty behemoth targeted around innovation pipeline, building global scale and building key marketing capabilities across all the different markets. Lewis outlined the four ‘Ss’ (along with the 4 Ps of marketing) that are required to build marketing capabilities for the new marketer. "The modern marketer needs to be a scientist, a strategist, a storyteller, and a socialiser. I’ve made sure we have developed our marketing development curriculum around these four Ss to help us engage and communicate with our consumers and help develop our consumer offerings." The strategy led to the launch of Johnson’s Bedtime Sleep App, that gives parents expert recommendations around bedtime routine and also Neutrogena Light Therapy Acne Mask, a first of its kind mass market light therapy product aimed at acne sufferers. "The Neutrogena launch is a good example of how we helped downstream a very expensive product usually available only at dermatologists or beauty salons. The mask is clinically proven to make a difference for those with acne at the cost of a a dollar or two per episode," she added. J&J has also launched a similar product in the Asian markets with anti-aging benefits. Lewis promised "more and more of this kind of breakthrough innovation from J&J." J&J’s ambitious targets for growth mean that 80% of its growth now comes from innovation. "In terms of the innovation pipeline, we’re really about fuelling fewer but bigger projects. We’ve decreased the number of projects in the pipeline by two times and increased the size of the pipeline by three times – a huge increase in terms of the scale." Lewis also highlighted her strategy to build global scale, which includes expanding the international footprint of several J&J brands confined to the US market at present. "When trying to build global scale, it has to be about how to drive global scale with local relevance. To build billion-dollar global brands, the brand should be the brand around the world with a consistency of message, but it can still be activated in a way that’s local." 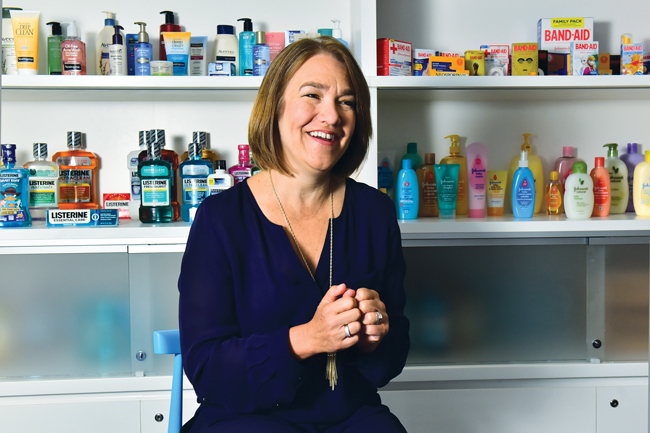 Listerine and Neutrogena, she suggested, are two such brands that are global but each with a locally relevant message and offering for different markets. Talking about creativity that leads to business success, Lewis raised concerns about the recent Publicis announcement to exit Cannes Lions. "Good, I’m not a Publicis client. "I have no problem with business leaders making decisions about sending all these people (to Cannes Lions), spending all this money (at the festival) and if they see that isn’t giving them the returns and they need to focus the dollars elsewhere, that’s great. But where I do get concerned is about creativity through to business impact, which was the whole purpose of Cannes to begin with, doesn’t get lost." She did, however, go on to add that she respected a leader that can make a difficult call at a time when everything is being disrupted. "Maybe there is a different way of doing things, though how agencies will attract and retain a client after such a decision is taken is a point of concern."